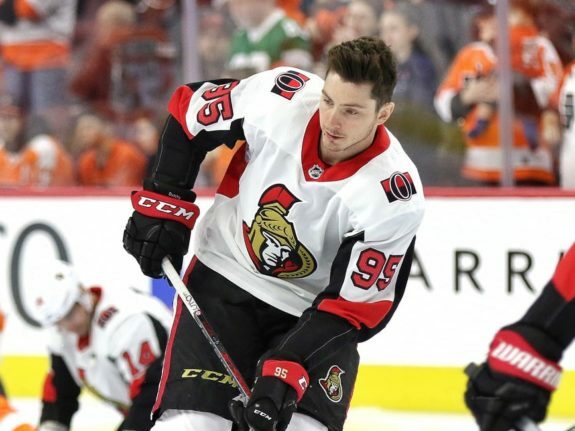 Ottawa Senators: Boucher on Batherson: "Almost but Not There Quite Yet"
In last night’s home win against the Nashville Predators, Ottawa Senators rookie Drake Batherson had a breakaway, a power play assist, and two shots on goal. The assist was his eighth point of the season in just 17 games, not bad for a 20-year-old rookie. But that assist was also his first point in his last nine games. Batherson skated just 9:24 all night long on Monday, 1:55 of which was on the man advantage. 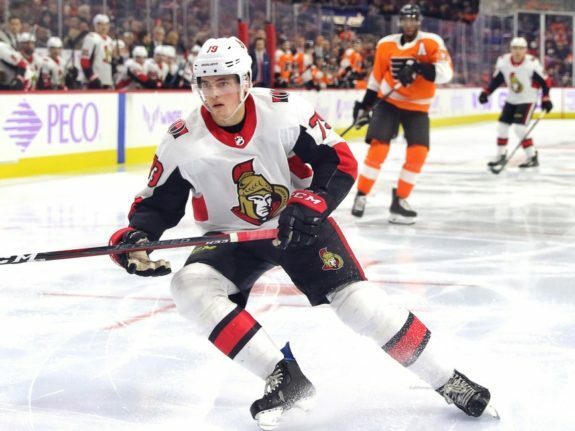 So it wasn’t too surprising when the team announced on Tuesday that Batherson had been sent down to the American Hockey League. Sens general manager Pierre Dorion even hinted at demoting Batherson over the weekend. When Ottawa head coach Guy Boucher spoke to reporters on Tuesday, he said the decision to send Batherson to Belleville was unanimous and that ice time had a lot to do with it. “Almost, but not there quite yet. Can he be on NHL ice? For sure. One hundred per cent we could have kept him,” Boucher told reporters. “We feel that in his case, he will benefit from the good minutes, from the high-end minutes [in the AHL]. He needs high-end minutes because with [Matt] Duchene back soon, Bobby [Ryan] back, when you look at the portrait — the power play minutes, the top minutes — he wasn’t going to get as much and that’s not the right thing. Boucher added that he has been impressed with Batherson’s work ethic and attention to detail. He said he is confident that down the road Batherson will be a player the team can count on at both ends of the ice. 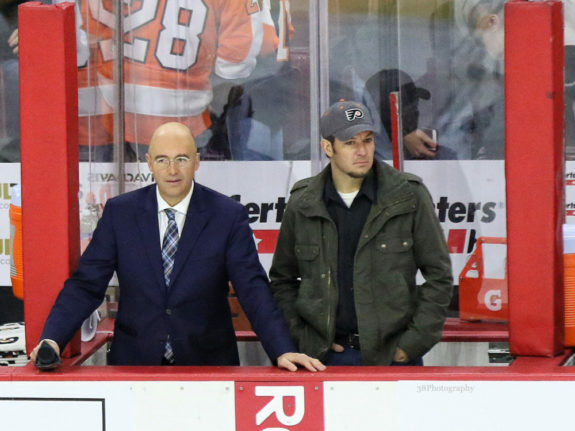 On TSN 1200’s morning show on Tuesday, NBC Sports hockey analyst Pierre McGuire weighed in on the Batherson demotion as well. He said even with Duchene’s impending return this week — someone who Batherson had chemistry with — it was the right move. Before Batherson’s call-up to the NHL on Nov. 15, he had recorded 20 points in just 14 AHL games. Even with him missing a month of AHL action, his 20 points are still top-10 in rookie scoring and just five points back of rookie leader Joel L’Esperance. Batheron’s 1.43 points-per-game at the AHL level is fourth-best amongst all skaters (minimum 10 games played). McGuire said replicating that kind of dominant performance is what will get Batherson another call-up. Batherson registered seven points in his first eight career NHL games. All three of his goals in that span were assisted by Matt Duchene and all four of Batherson’s assists were on Duchene goals. Clearly, there was some chemistry between the two. Then Duchene left Ottawa’s game against Montreal on Dec. 6 with a lower-body injury. In the six games without Duchene since that injury, Batherson recorded one assist and just six shots on goal. But even with Duchene, Batherson had one of the worst Corsi For percentages in the NHL (36.65). In fact, it appears Batherson has been holding Duchene back, rather than Duchene pulling Batherson up. Without the veteran centreman, Batherson has been awful at 5-on-5. In roughly 200 total minutes at 5-on-5 this season in the NHL, Batherson has the worst Corsi For percentage amongst forwards who have played at least 100 minutes (33.24). With Duchene, Batherson’s numbers only get a slight bump, up to 36.65, yet Duchene is well over 50 per cent without Batherson. Certainly some more time in the AHL won’t hurt Batherson’s game.